Donald Trump won the U.S. Presidential election for many reasons: his mastery of simple narratives and the media; the vagaries of the country’s electoral system; voters’ desire for change; and the perceived weaknesses of his Democratic opponent. He also won because Christian evangelicals—so-called ‘values voters’—voted overwhelmingly for Trump despite his apparent lack of fidelity to Christian principles. How was this possible? 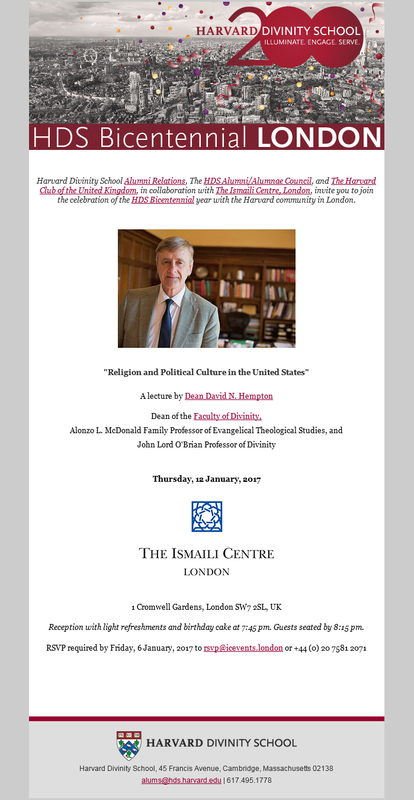 Join David N. Hempton, Dean of Harvard Divinity School and an award-winning historian of evangelical Christian movements, for an exploration of the ways that cultural identity, politics, and religion interacted to produce one of the most stunning electoral results in American history and what it means for the future.